Researchers modified Half-Life 2 to study whether violence makes a game more enjoyable for players. The short answer: It does not. In the study, published Friday in the Personality and Social Psychology Bulletin, researchers surveyed more than 2,500 "frequent game players" and conducted four experiments on more than 300 college undergraduates. "We found that, on average, violent content didn't add to motivation for play," said lead author Andrew Przybylski of the University of Rochester, which cooperated with Orlando-based think tank Immersyve on the project. "The reason why children gravitate to something like 'Halo,' 'Halo 3' or 'World of Warcraft' or 'Team Fortress' isn't necessarily because they want to get at the blood or the acts of violence," he said. Here's how they determined it. 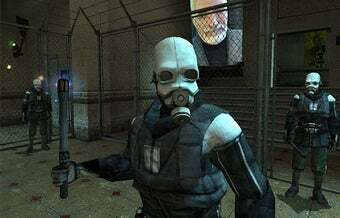 Using Half-Life 2, players were given either a shotgun weapon or a psychic power. Players with a shotgun were told they were in a kill-or-be-killed scenario, and deaths were rendered in a very bloody and violent way. The psychic power gamers "were essentially playing a game of tag," and when they were able to hit an opponent with the ability, "the person just floated up very serenely into the air before evaporating." After playing, the study subjects were asked how fun the game was and if they'd like to play it again. There was not enough of a difference in the two groups' responses to determine that violence had any affect on its perceived fun. Craig Anderson, the director of the Center for the Study of Violence at Iowa State University, lauded the studies' methodology and said they made a strong contribution to understanding video games, how they're designed, who plays them, and why. "That's probably a better place for them to put their efforts than being able to very realistically depict someone's arm falling off," he said.